Absolutely beautiful setting! Enjoy the morning on the covered front porch complete with ceiling fan or on the back deck overlooking the backyard with trees surrounding the property! FULLY FENCED property! 3 outbuildings each with electricity. Even the hook up your RV. 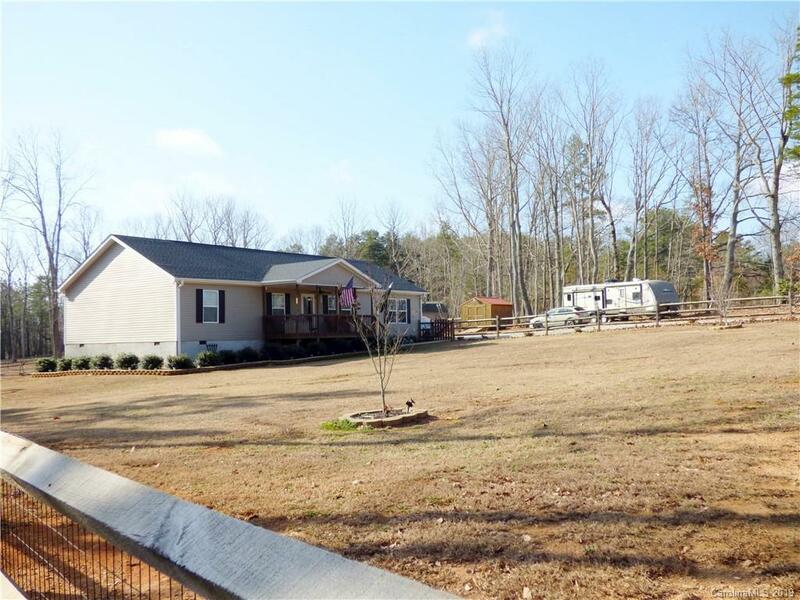 Over 3 acres offering privacy and country feel yet easy drive to shopping, schools, restaurants... Easy access to HWY 16; makes an easy commute to Charlotte or Hickory! Home has been meticulously maintained. Split bedroom open floor plan. Spacious living room, Huge master bedroom with ensuite bath. Spacious kitchen with enormous center island, tons of cabinet and counter space opens to dining room and family rooms! 2 secondary bedrooms complete this well thought out home!